Not the most elegant Himmy around, James is still a runt. 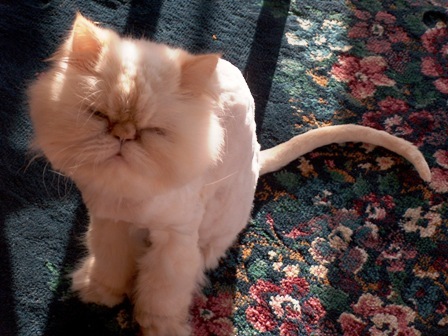 He’s about 4 pounds, mostly fur, and gets a lovely haircut like this a couple times a year. He is certainly the dumbest cat we’ve ever had, but he makes up for it by being low maintenance and sweet. James passed away in 2014.